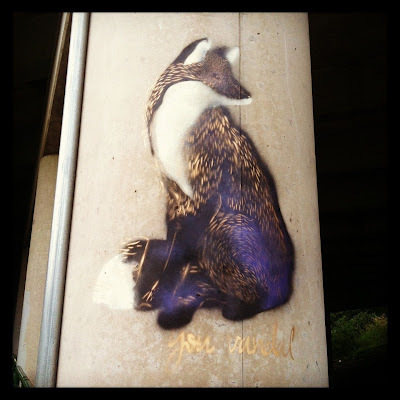 This stencil, underneath the Beltline and spotted/submitted by friend Mickie, is absolutely incredible. The colors, the work on the fur...I don't even know how this was done. Serious kudos to the artist. 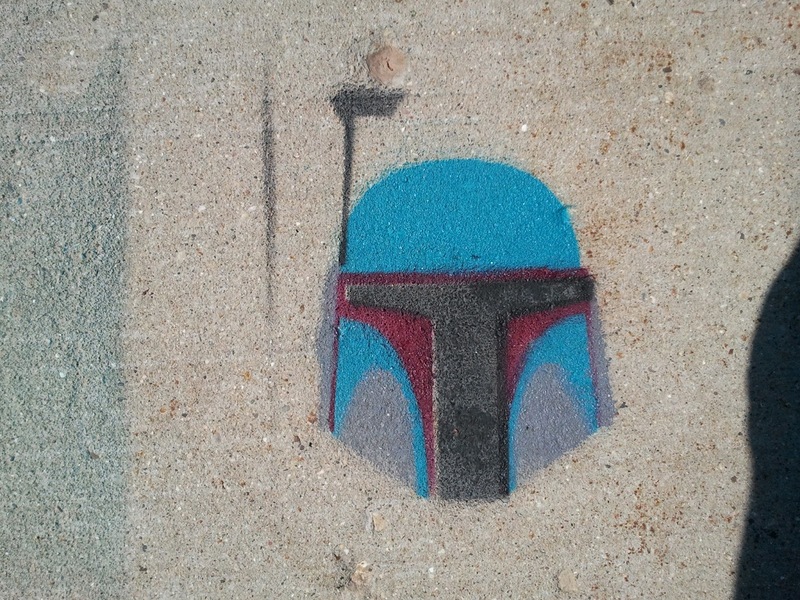 Boba Fett is all over the bike path on the east side / Atwood 'hood. Watching you ride your bike. Judging you, probably.